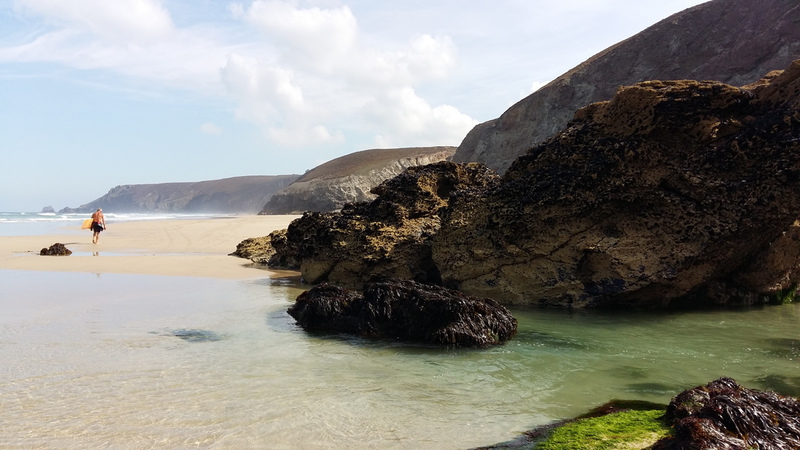 Ok so this is not exactly a brand post but I thought it would be good to share details of a recent holiday to Porthtowan in Cornwall if you are ever planning a trip down here as it seems to get better and better every time we come. Porthtowan is a small village located on the north atlantic coast of Cornwall between Newquay and St Ives, close to St Agnes and around 15 minutes from the city Truro. The beach is west-facing and backed by impressive cliffs. 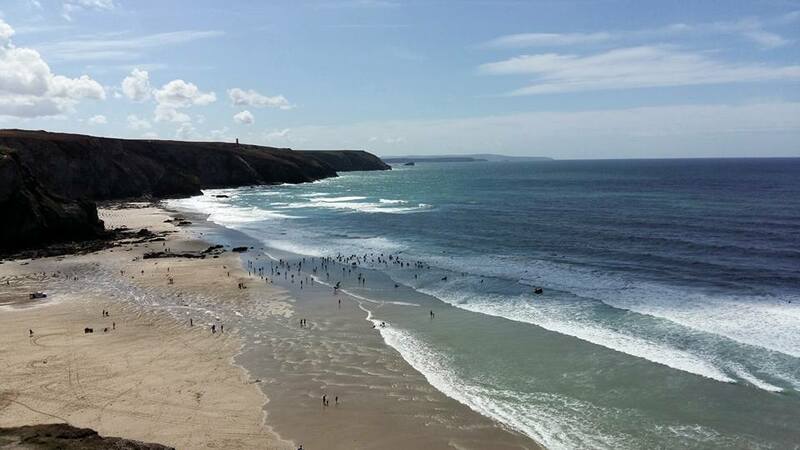 Its wave conditions make it a destination for surfers and families alike, life-guarded and clean, it has been a Blue Flag beach since 2005. 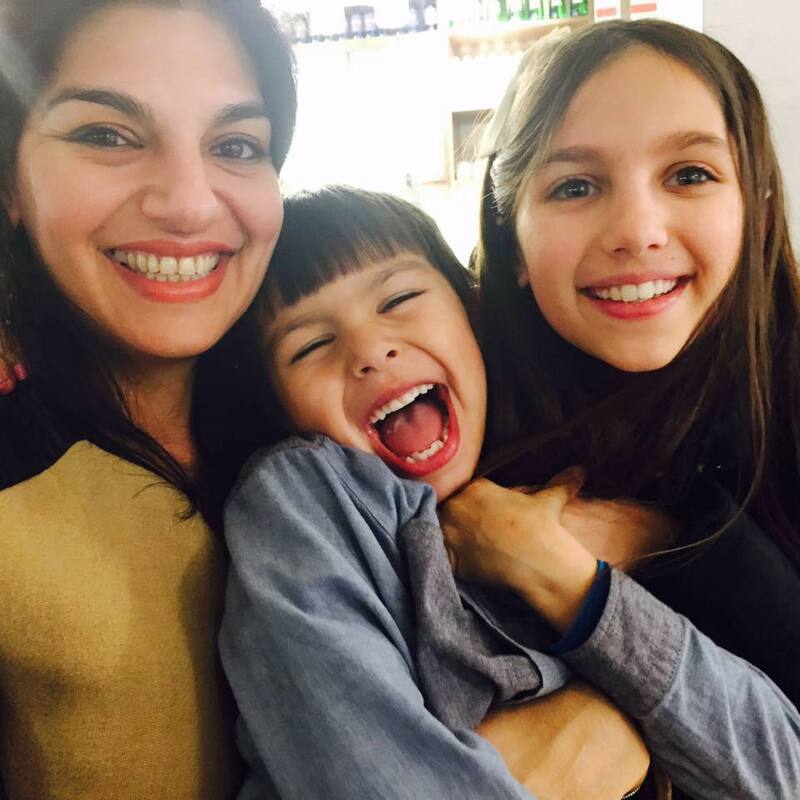 On a good day it takes 4.5 hours from London and I would always advise to leave early in the morning or late at night to avoid all the holiday traffic. Friends of ours have sat on the motorway for 8 hours before trying to get here so always best avoided. If you are coming by train, Redruth is the nearest station. If you are looking for good value accommodation which is literally just a stone’s throw away from the beach, I know just the place! 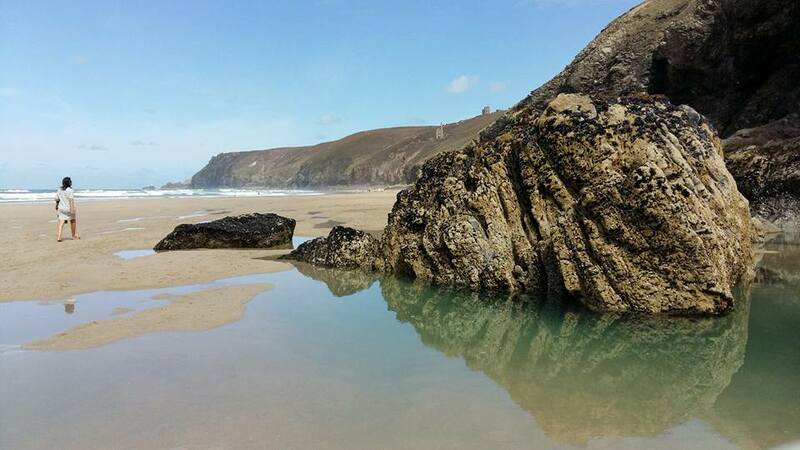 Our apartment in Porthtowan is located just a step away from the beack and sleeps up to four. It is perfectly suited to both families, surfers and individudals alike, with views to die for and some of the best sunsets you will ever see from a balcony. 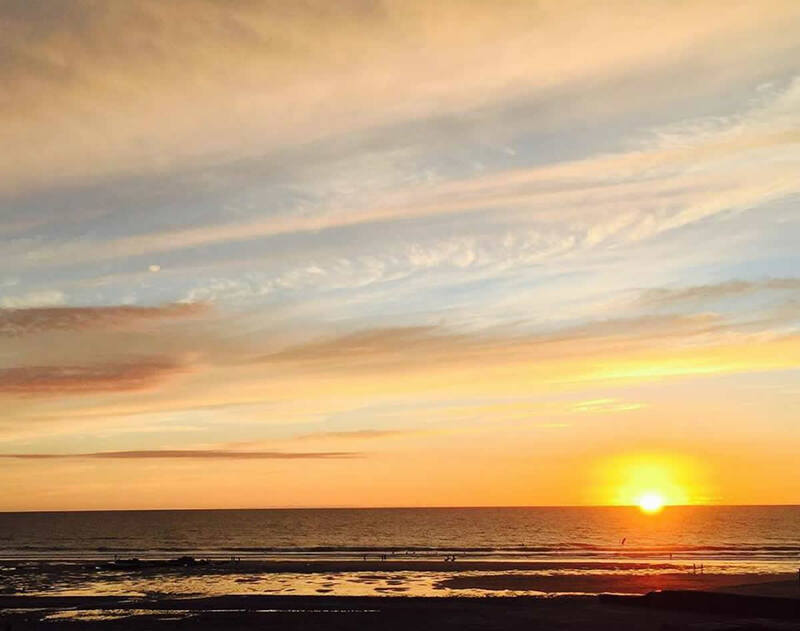 The Porthtowan apartment is situated just near the Blue Bar, a bar and restaurant which serves food and barista coffees all day and has beautiful views out to the sea where you can easily while away the time both indoors and outdoors which is a little sun trap. 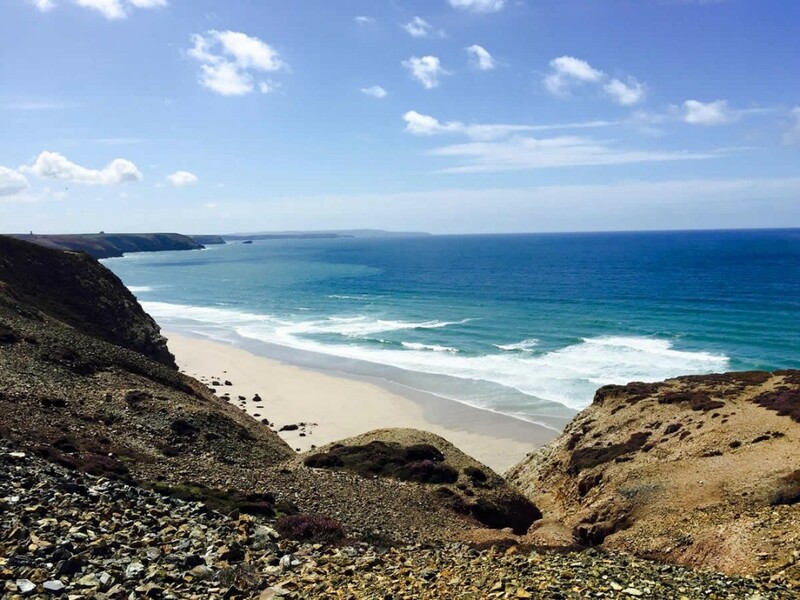 There is also the Porthtowan Beach Cafe which serves breakfasts and lunch as well as feast nights nearby and the Moomaid of Zennor ice-cream parlour which serves the best ice-creams and coffees you will ever taste. The fish and chip shop is just a 5 minute walk away. Obviously the first thing you can do is learn to surf or boogie board. The beach is life-guarded, extremly clean and good for beginners and experts alike. There is a surf school and surf shop called Tris Surf Shop which is extremely good value for money (£12 per hour of tuition) and you can also hire surf boards and wetsuits easily. 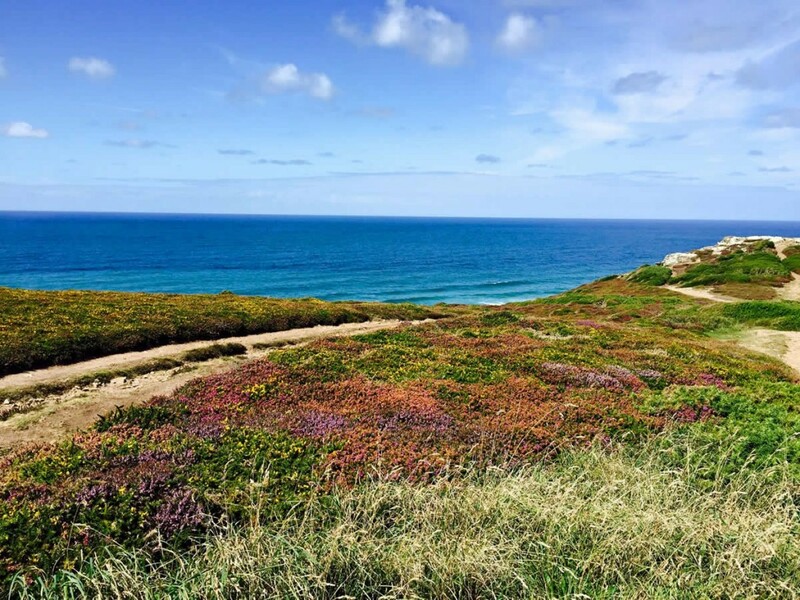 I can highly recommend the walk from Porthtowan to Chapel Porth, a breathtaking coastline with buildings that are a reminder of St Agnes’s copper tin mining past. You can walk along the beach when the tide is out and then return via clifftop on the way back. On the way to Chapel Porth be sure to check out the natural pool which is nestled in between the rocks and dramatic clifftop. 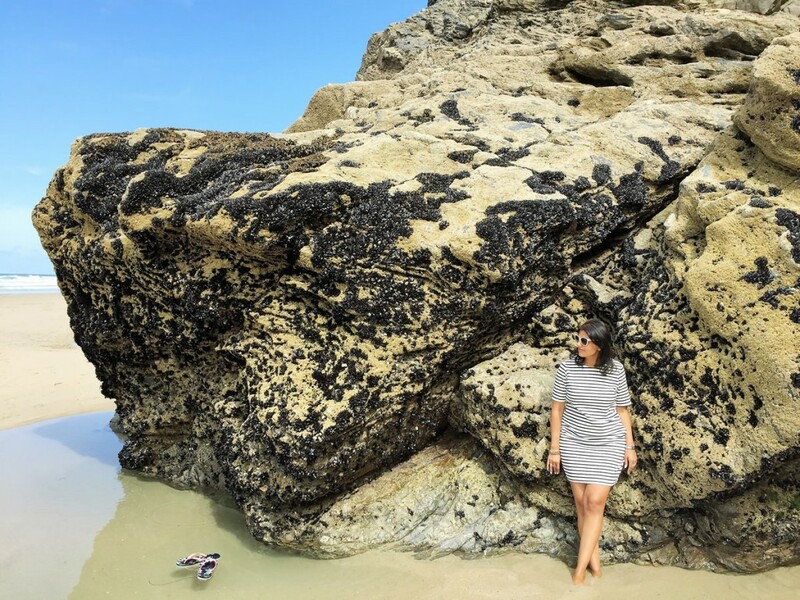 On the way to Chapel Porth, there is plenty of opportunity to pick mussels on the beach and view the stunning stretches of sandy beach, with turquoise blue sea and dramatic caves. 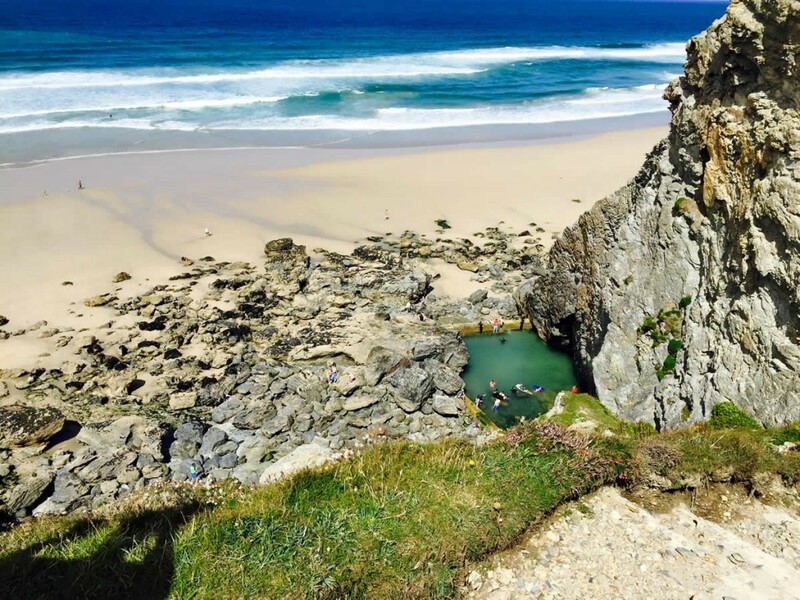 When you arrive at Chapel Porth, there is a great cafe, the Chapel Porth Beach Cafe which serves delicious baguettes and the must-try Hedgehog ice-cream, made with clotted cream and covered in an array of nuts. On the way back via clifftop the views are incredible. The sea is blue, the heather is pink and it doesn’t get more stunning than this. All in all, I can highly recommend a holiday in Porthtowan in Cornwall which seems to have its own little microclimate. Of course we do get rain but when it’s sunny here, it’s really sunny! Picture credits: All pictures by me or Gwith B.